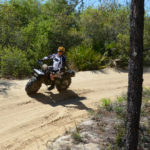 Editor’s Note: The Rokon motorcycle (www.rokon.com) can go where no other vehicle dares through sifting sand, water more than waist high, gumbo mud, high rocky terrain and woods with no paths, trails or firebreaks. This all-wheel drive, all-terrain, go-anywhere, do-anything motorcycle with its 3-year warranty can provide hours and days of fun for riders who trick their Rokons out in limitless ways. Handbuilt to exact standards, the Rokon uses a combination of a belt, chains and shaft drives coupled to gear boxes to drive both the front and rear wheels and features its patent on front suspension in all-wheel drive vehicles for enhanced comfort. When hurricanes blow up in coastal waters, and/or tornadoes travel rapidly across the land, TV weather forecasters often will show several possible routes that the storm may take. Since a storm doesn’t know what it’s supposed to do, it often tracks where not anticipated. The time to escape the water and the high winds will be extremely limited – perhaps only a few hours. Highways and interstates may be stalled with motorists trying to escape the bad weather with many major highways resembling parking lots. However, one vehicle can solve this problem – the Trail-Breaker Rokon, an all-wheel drive, all-terrain motorcycle that’s narrow enough to drive between lanes of traffic, down the shoulders of roads and even off-road. 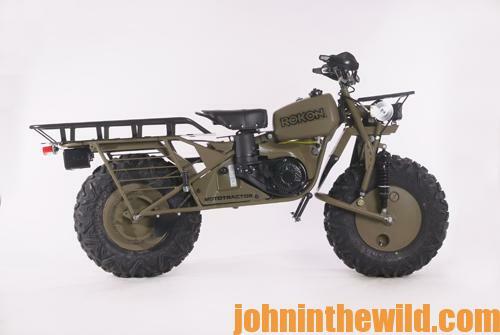 With models selling for $6,775 – $8,375, the Rokon is the least-expensive, yet the most-useful survival vehicle anywhere. A tractor, an ambulance, a log skidder, a mountain climber, a firefighting machine and a mechanical camel are all words that describe adaptations of the Rokon that survivors can use. The Rokon can climb a 60 percent grade and go through 24 inches of water. Or, if the water’s deeper, you can shut-off the gas, lay the Rokon on its side with the air intake up and push it across chest deep water, due to its large, air filled tires and hollow waterproof rims. 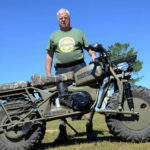 This motorcycle easily can go where no other vehicle can move through thick brush, gumbo mud, shifting sand and rocky terrain to help you survive. You can put 2-1/2 gallons of gasoline in each rim to give you enough fuel with the gas that’s in the Rokon’s gas tank to travel over 24 hours without refueling. Most importantly, the Rokon is fun to ride and can support two people and their baggage up to 800 pounds. * Fighting Fires: In many areas this past year, wildfires have posed a threat to people and property off-grid. You can use a power take-off or add a generator to the back of the Rokon, carry a fire hose, stick one end in a water source and utilize the pump on the Rokon’s back to pull water out and spray water on the fire moving toward your home. Also by attaching the rake implement onto the 3 point hitch on the back of the Rokon, you can create firebreaks. 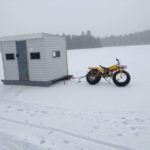 * Moving Equipment and Supplies: With the Rokon’s load capacity of 800 pounds, you can transport supplies quickly and easily to and from your off the grid homestead and disaster zones. You also can purchase a one wheel trailer from Rokon that moves an additional 300 pounds or a two wheel trailer that carries an additional 500 pounds. * Climbing Heights: If you’ve built a getaway on top of a mountain, the Rokon easily climbs 60% grades and can move through rough and rocky terrain easily. * Having the Ability to Vanish: If you want to vanish and not have any roads or trails leading to your survival getaway, the Rokon that’s so narrow you can take it through the front door of your cabin moves through the woods and across streams 24 inches deep or less. The quietness of its muffler system helps you vanish too. * Surviving Hurricanes and Tornadoes: When the National Weather Service recommends residents in certain regions evacuate due storms or fires, highways become congested with traffic. But the Rokon’s light weight and small size still allows you to ride family members to safety and away from danger. The Rokon gives you a way to leave devastated property and reach safety, even with closed roads. When participating in disaster relief, you can transport water, blankets and medicines on your Rokon. 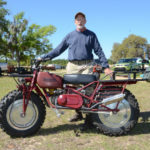 * Knowing You Can Depend on the Rokon: The ruggedness of the Rokon and its ability to travel for many miles without maintenance problems are other reasons survivors will enjoy this motorcycle that can be configured to other vehicle types by using its many accessories, comprised of a tow bar kit, a trail maintenance kit, a rear cargo rack, utility saddle bags, a log skidder, wheel chains for both ice and snow, a generator and a power take-off. Some people cut the trees on their properties and use the Rokon log skidder to drag the trees to their building sites with the Rokon’s 3,000 pound towing capacity. To plant a sustainable garden, attach Rokon’s agricultural implements – a plow, a spreader, a sprayer and a disc harrow. The Rokon is almost maintenance free. For example, the Special Ops Force in Brunei in Malaysia used 12 Rokon motorcycles every day for 2 years without servicing the bikes and encountered no problems with them. The Rokon Prepper has teamed-up with David Canterbury, TV host of “Dual Survivor” and “Dirty Rotten Survival” on the National Geographic Channel and author of “Bushcraft 101,” a New York Times bestseller that tells readers how to survive in difficult terrain. Canterbury has selected several products that will be onboard the Rokon Prepper’s edition, including a solar blanket, a magnesium fire stick, a knife, a compass, waterproof matches and a water purification device. You’ll have the equipment you need to survive and to maintain your $8,300+ Rokon Prepper if disaster strikes. Learn more at https://www.rokon.com/bikes/rokon-preppers-%E2%80%93-survivor-edition. I’ve found the Rokon easy and simple to operate. Even an inexperienced cyclist can ride one to survive and also enjoy the sheer pleasure of riding off-road. These are a few more reasons why the Rokon is the most awesome survival vehicle in the world. To see the value of the Rokon’s survival qualities, consider how one of the top wildlife TV shows in America, “Wild Kingdom,” hosted by Marlin Perkins and Jim Fowler, used a Rokon to track condors in the wild. Fowler also rode his Rokon to the tops of mountains where the condors lived on the sides of cliffs and in very tall trees. He attached his Rokon to large boulders and rappelled down a line from the Rokon, over the sides of cliffs to tag condors in their native habitat. Although the Rokon is a survival vehicle, it has numerous applications. 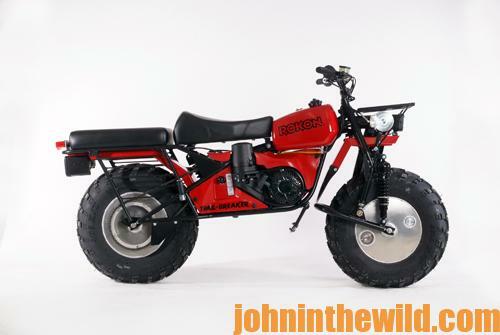 * Recreation – The Rokon provides more traction and torque than an ATV to ride in rough country. 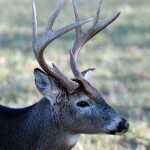 * Big Game Hunting – You can retrieve an elk, a bear or a deer with it. * Military – The Rokon is essential for long-range scouting, serving as a pack mule for patrols and carrying ammo and food. The Rokon can tow up to 3,000 pounds on level ground and dead drag 800 pounds. 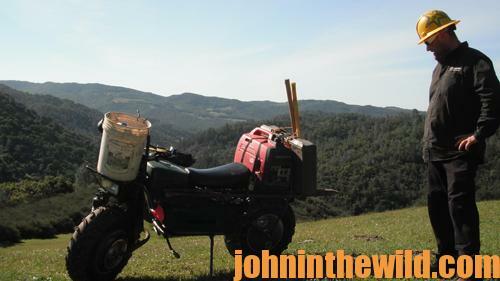 Many military people refer to the Rokon as the Swiss army knife of motorcycles, because it can do almost anything. * Agriculture – You can crop check with a Rokon that can move in the middle between two rows with its 31 inch tires and all-wheel drive. Farmers also use the Rokon for center pivot irrigation, to round up cattle and to ride and repair fences. * First Responders – Search and rescue people like Rokons, which can carry first aid supplies and also fight fires, lay hose for firemen and pump water with an accessory. You can plug in a generator to the Rokon too. The Rokon is adapted to have a stretcher to move a sick or injured person out of any type of terrain, with only one other person driving the Rokon. Rokon is working on a trailer that will attach to it, so the Federal Emergency Management Agency (FEMA) can use it to rescue people. * Other Uses – The Rokon can provide mosquito control in marshy places and take you and your equipment to build a pipeline over the mountains and then inspect it. 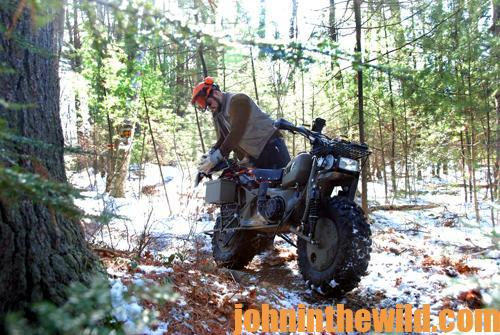 The Rokon is also used for building and maintaining trails for mountain bikes, hiking and ATVs. 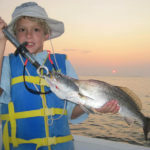 To learn more about a wide variety of outdoor subjects, in Kindle eBooks and print and Audible books including hunting, fishing and cooking, go to www.amazon.com/author/johnephillips.